National Security Advisor John Bolton says Russia not only threat to integrity of US elections, warns Iran, China, N. Korea also 'meddling'. The US could be facing serious threats to the integrity of its upcoming midterm elections this November, with possible efforts originating in four different countries to undermine votes across the country, National Security Advisor John Bolton said Sunday. Speaking with ABC News, Bolton claimed that despite the media attention focusing on allegations of a concerted effort by Russia to influence the 2016 US presidential election, there are multiple possible threats to the integrity of US elections. Specifically, Bolton said the US had reason to suspect that China, North Korea, and Iran would attempt to ‘meddle’ in the 2018 midterm elections this November. 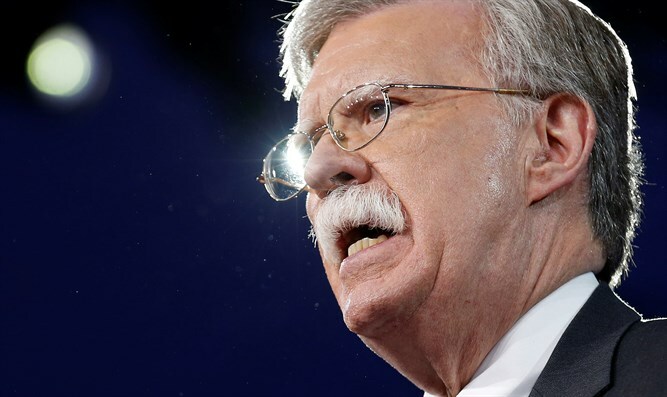 “I can say definitively that it's a sufficient national security concern about Chinese meddling, Iranian meddling and North Korean meddling that we're taking steps to try to prevent it, so it's all four of those countries, really,” Bolton said. This November’s midterm will be the first nationwide vote since President Trump was election in 2016. Polls show a tight race for both chambers of Congress. All 435 seats in the House of Representatives and 35 of the Senate’s 100 seats are up for election this November, giving Democrats the opportunity to flip both the House and Senate. Democrats need two net pickups in the Senate to flip the upper chamber, and 24 net pickups in the House. In late July, Facebook announced that it had uncovered a coordinated effort to use the social media giant to influence the midterm elections through a large network of fake accounts and Facebook pages. The secret campaign was apparently in its “very early” stages, Facebook claimed, saying that the group behind the effort had uploaded around 10,000 posts and spent roughly $11,000.